Alan Victor Oppenheim (born 1937 in New York City) is a Professor of Engineering at MIT’s Department of Electrical Engineering and Computer Science. He is also a principal investigator in MIT’s Research Laboratory of Electronics (RLE), at the Digital Signal Processing Group. His research interests are in the general area of signal processing and its applications. He is coauthor of the widely used textbooks Discrete-Time Signal Processing and Signals and Systems. He is also editor of several advanced books on signal processing. Oppenheim received the S.B. and S.M. degrees simultaneously in 1961 and the Sc.D. degree in 1964, all in electrical engineering, from the Massachusetts Institute of Technology. His dissertation Superposition in a Class of Nonlinear Systems was written under the direction of Amar Bose. He is also the recipient of an honorary doctorate from Tel Aviv University (1995). In 1964, Dr. Oppenheim joined the faculty at MIT, where he is currently Ford Professor of Engineering and a MacVicar Faculty Fellow. Since 1967 he has been affiliated with MIT Lincoln Laboratory and since 1977 with the Woods Hole Oceanographic Institution. 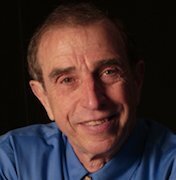 Dr. Oppenheim is a member of the National Academy of Engineering, a fellow of the IEEE, a member of Sigma Xi and ΗΚΝ. He has been a Guggenheim Fellow and a Sackler Fellow. He has also received a number of awards for outstanding research and teaching, including the IEEE Centennial Medal (1984), the IEEE Education Medal (1988), the IEEE Third Millennium Medal (2000), the IEEE Jack S. Kilby Signal Processing Medal (2007), the Society Award, the Technical Achievement Award and the Senior Award of the IEEE Society on Acoustics, Speech and Signal Processing. He has also received a number of awards at MIT for excellence in teaching, including the Bose Award and the Everett Moore Baker Award.